The author, a journalist-historian, attempts the impossible: a book that engages the reader in the three millennia long documented history of the island of Sicily. The island was fought over and occupied by every power who ever wanted dominion over the Mediterranean, because of the island's size and prime location. More than other books that cover such a vast swath of time, this author succeeds, with a sharp eye for anecdote and historical personalities. Three thousand years of history, amazingly, don't feel rushed! There are entertaining stories from the past that bring the times alive with the people, their actions, and their adventures and misfortunes. The history of Sicily...is a sad one, because Sicily is a sad island...this book is, among other things, an attempt to analyze its causes. Sicily's earliest recorded history is Greek, with locations playing a large part in Greek's mythological gods and their battles, including Bacchus and the first grape vines on the slopes of Etna. 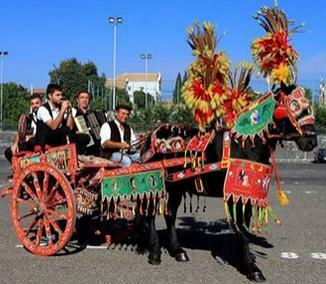 But the history of Sicily stretches back much further, into the era of the great Carthage, her ancestors the Phoenicians, and the Neolithic cultures and the mysterious Mycenaeans, the Mediterranean's first great power. The prose is lovely. The facts are presented in a manner that is not overwhelming if you have a basic grounding of European history. If you don't have that grounding, you may find yourself overwhelmed at times. Sicily's history has been linked to the flows of power between the ruling European dynasties and countries for her whole history! My advice is to take the book slowly, and supplement it with reading the Wikipedia articles on the various peoples, battles, or events mentioned in the book. If you do that, by the end of the book, you'll have increased your knowledge tremendously. Within the history he presents, the author manages to mention highlights of Sicily's cultural heritage that tourists can visit, as well as literature and popular writing such as Camilleri's popular police procedural novels featuring Inspector Montalbano. Beware, however, that ancient history was institutionally sadistic, soaking the soil of Sicily (and all the soil surrounding the Mediterranean and throughout Asia) with human blood. The only oddity I found relating to this was that the author appeared to take the side of Rome against the slaves who periodically fought for their freedom. 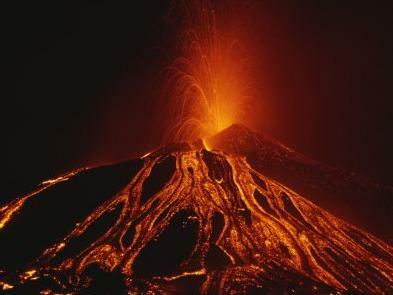 Sicily, more than many other land, also seemed to have a death-wish, both in personal character and in Mother Nature: the cities of the island were continually divided by internal strife and external rivalries; earthquakes, volcanoes, droughts, tsunamis, floods, malaria and plagues of various kinds have struck (and continue to strike) the island with regularity. It is the sorrow of long, unhappy experience, of opportunity lost and promise unfulfilled--the sorrow, perhaps, of a beautiful woman who has been betrayed too often and is no longer fit for love or marriage. That quote from the book is quite apt for Sicily, an island who only since roughly the end of the Second World War has had an autonomous government. The centuries of foreign powers (16+) exploiting her position and soil and sun and harbors built up a mistrust in the locals that created a knee-jerk reaction of benign resistance and criminality when faced with any type of governance, even when that governance was to the island's benefit. The land-based society coupled with widespread ignorance and illiteracy (only 1% could read and write in 1860) meant that only since the post World War II period, when educational reforms coupled with the building of local governance and social institutions including a strong judiciary and law enforcement capacity were begun, has Sicily made steady advancement into the modern age. The informatics age has contributed to a huge leap forward for the island, by allowing the inhabitants to see the how the modern world functions, and how the world views Sicily's malfunction. The future looks much brighter for Sicily as the new generation strives to bring their beautiful island forward with industry and tourism. This book will have especial appeal for those about to visit Sicily, and for those who are of Sicilian descent. The pleasant writing style is modest, wise, humorous and nearly conversational, flowing seamlessly from subject to subject, and era to era. But nicest of all is the author's love of, passion even for, Sicily that shines through every word, as does his love of history and his erudition. 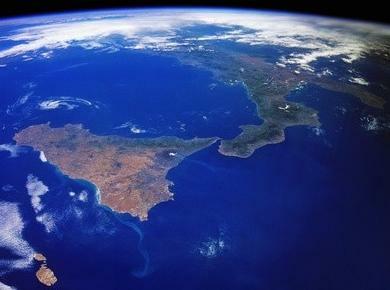 “Sicily,” said Goethe, “is the key to everything.” It is the largest island in the Mediterranean, the stepping-stone between Europe and Africa, the link between the Latin West and the Greek East. Sicily's strategic location has tempted Roman emperors, French princes, and Spanish kings. The subsequent struggles to conquer and keep it have played crucial roles in the rise and fall of the world's most powerful dynasties. 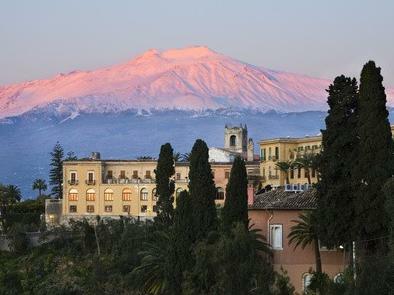 As prized as it has been, however, Sicily has often been little more than a footnote in books about other empires. 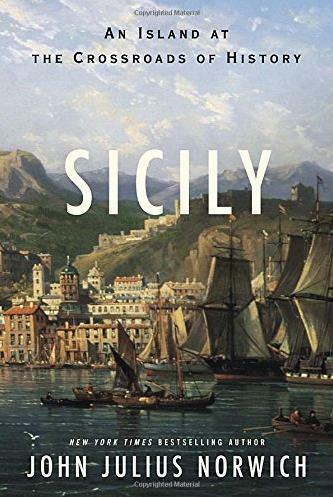 John Julius Norwich's engrossing narrative is the first to knit together all of the colorful strands of Sicilian history into a single comprehensive study. Here is a vivid, erudite, page-turning chronicle of an island and the remarkable kings, queens, and tyrants who fought to rule it. From its beginnings as a Greek city-state to its emergence as a multicultural trading hub during the Crusades, from the rebellion against Italian unification to the rise of the Mafia, the story of Sicily is rich with extraordinary moments and dramatic characters. Writing with his customary deftness and humor, Norwich outlines the surprising influence Sicily has had on world history—the Romans' fascination with Greek civilization dates back to their sack of Sicily—and tells the story of one of the world's most kaleidoscopic cultures in a galvanizing, contemporary way. island in the early 1960s. The dean of popular historians leads his readers through the millennia with the steady narrative hand of a master teacher or the world's most learned tour guide. 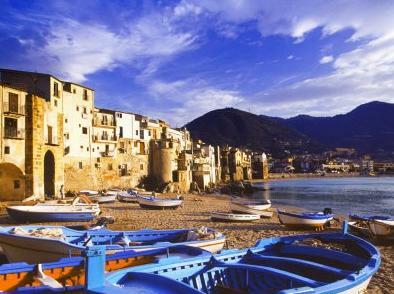 Like the island itself, Sicily is a book brimming with bold flavors that begs to be revisited again and again. How much of this book is a retelling of the author's other two books on Sicily? The two books you mention are out now as one volume called "The Normans in Sicily". Those two books are condensed down to one chapter in the new Sicily book, just one of 17 chapters. Thanks for visiting my review site!